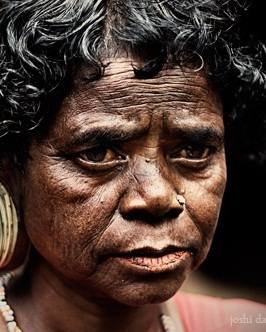 DNA evidence confirms what historians, linguists and anthropologists have long known but nationalists have denied: that Indians are mainly a mix of indigenous Australoids and intrusive Caucasoids. 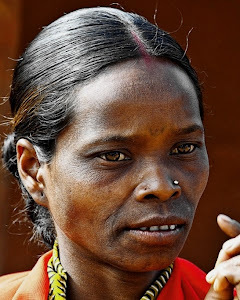 They're composed of two genetic components, one related to Andaman Islanders and the other to Western Eurasians, which is higher in upper castes. 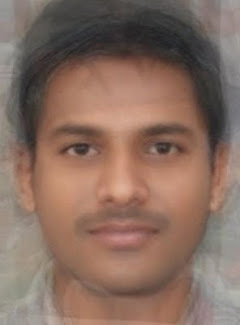 The estimated dates of admixture between the two are consistent with the introduction of Indo-Aryan languages from the northwest and probably also earlier events related to the spread of Dravidian languages and even agriculture. 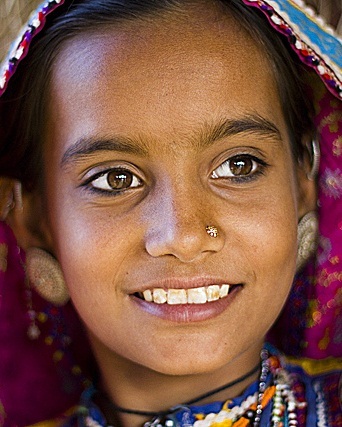 India has been underrepresented in genome-wide surveys of human variation. We analyse 25 diverse groups in India to provide strong evidence for two ancient populations, genetically divergent, that are ancestral to most Indians today. One, the "Ancestral North Indians" (ANI), is genetically close to Middle Easterners, Central Asians, and Europeans, whereas the other, the "Ancestral South Indians" (ASI), is as distinct from ANI and East Asians as they are from each other. 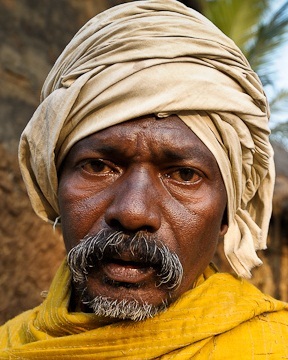 By introducing methods that can estimate ancestry without accurate ancestral populations, we show that ANI ancestry ranges from 39-71% in most Indian groups, and is higher in traditionally upper caste and Indo-European speakers. 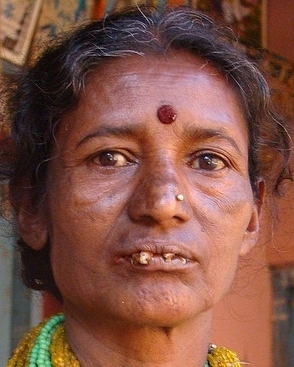 Groups with only ASI ancestry may no longer exist in mainland India. 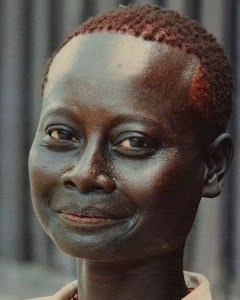 However, the Andamanese are an ASI-related group without ANI ancestry, showing that the peopling of the islands must have occurred before ANI-ASI gene flow on the mainland. Allele frequency differences between groups in India are larger than in Europe, reflecting strong founder effects whose signatures have been maintained for thousands of years owing to endogamy. We therefore predict that there will be an excess of recessive diseases in India, which should be possible to screen and map genetically. Reich et al. "Reconstructing Indian Population History". Nature, 2009. Metspalu et al. "Shared and Unique Components of Human Population Structure and Genome-Wide Signals of Positive Selection in South Asia". Am J Hum Genet, 2011. 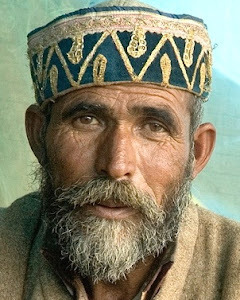 Linguistic and genetic studies have shown that most Indian groups have ancestry from two genetically divergent populations, Ancestral North Indians (ANI) and Ancestral South Indians (ASI). However, the date of mixture still remains unknown. 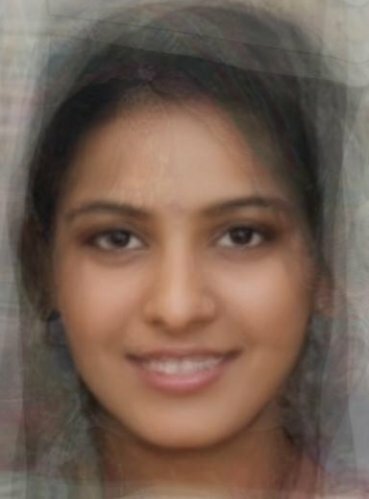 We analyze genome-wide data from about 60 South Asian groups using a newly developed method that utilizes information related to admixture linkage disequilibrium to estimate mixture dates. 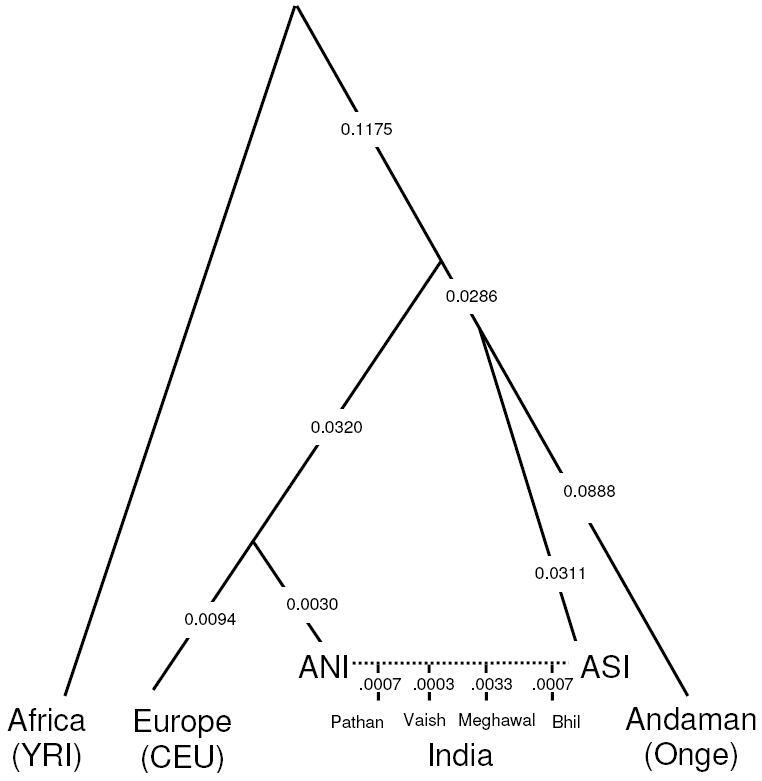 Our analyses suggest that major ANI-ASI mixture occurred in the ancestors of both northern and southern Indians 1,200-3,500 years ago, overlapping the time when Indo-European languages first began to be spoken in the subcontinent. 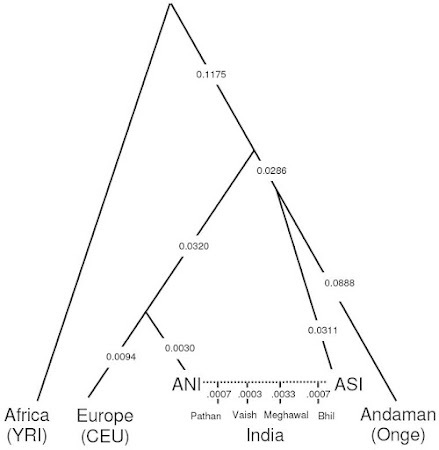 These results suggest that this formative period of Indian history was accompanied by mixtures between two highly diverged populations, although our results do not rule out other, older ANI-ASI admixture events. A cultural shift subsequently led to widespread endogamy, which decreased the rate of additional population mixtures. Moorjani et al. 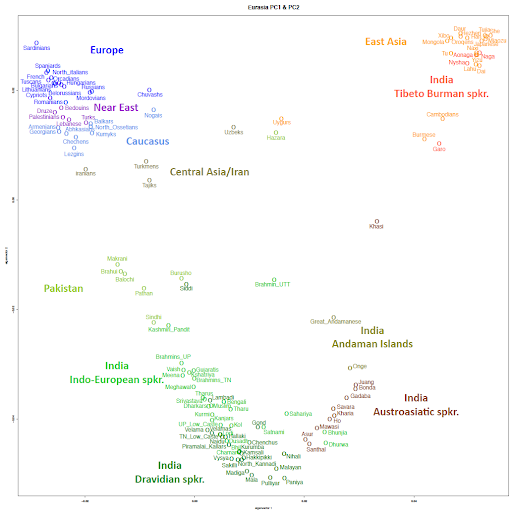 "Estimating a date of mixture of ancestral South Asian populations", Evolutionary and Population Genetics, 2012. The paper provides an overview of the spatial and temporal aspects of human morphological variation in India. Four morphological types — Australoids, Negritos, Mongoloids and Caucasoids — have been discerned in the contemporary Indian population. The Australoids appear to be the oldest and have evolved in India. The Caucasoids are physically heterogeneous and suggests incorporation of more than one physical type involving more than one migration. The within-type variance compared to between-type variance for characters studied is smaller. The paper further discusses the observed variability in terms of Indian social organization as well as in terms of endogamy, small numerical strength of the groups and varying ecological conditions prevalent in India. K.C. 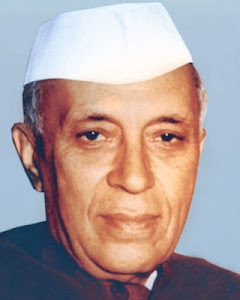 Malhotra. "Morphological Composition of the People of India". J Hum Evol, 1978.